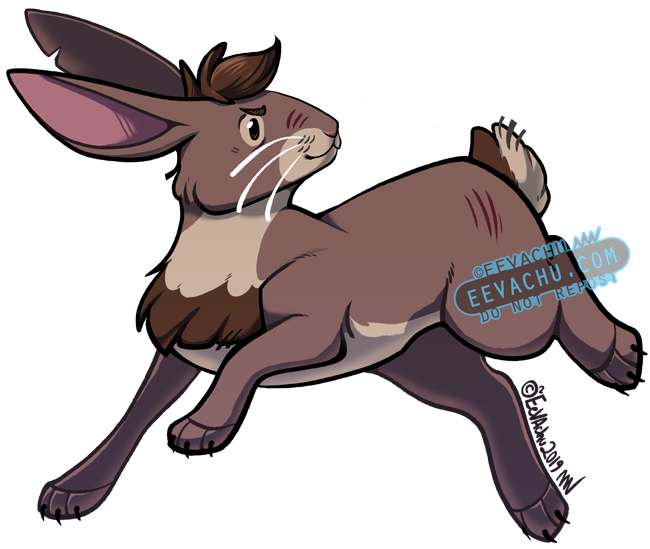 A Bigwig/Thlayli inspired bunny for my patreon sticker of the month club. If I can’t think of a design for a sticker, I generally take the species of one of my patrons as inspiration. Bigwig’s design is based on all versions of him, so he’s got a little bit of every one. 2019. Adobe Photoshop CS6; Wacom Cintiq 22HD; Original is 7315 x 6181 px.